When Charlene Hess got sick with a digestive illness, she went to the hospital as an independent 67-year-old who lived alone in her gated community in Sacramento, Calif. When she left, she needed help -- doing everything. With help from her daughter, Jennifer Gunn, the two discovered there are people -- in this case two neighbors -- willing to help with everything from bathing to vacuuming to changing kitty litter: home health care workers. These essential employees, who work in the privacy of people’s homes for a short time such as with Hess -- or long-term for the disabled or chronically ill -- don’t always make minimum wage or overtime pay because of a loophole in the federal Fair Labor Standards Act. A change to the rule proposed back in 2011 could end this, but the Obama administration has yet to approve it. Workers are still waiting to hear if they will be entitled to receive minimum wage. When contacted by Yahoo News about the proposed rule change, the White House Office of Management and Budget declined to comment. An event organized by home care advocates will be held on May 7 to bring renewed attention to the issue. The workforce is 88 percent female and 53 percent people of color. And 49 percent of these employees work less than full-time, causing them to rely on public assistance, according to the Paraprofessional Healthcare Institute, an advocacy organization for direct care workers. The average salary for a home health worker is just under $21,000 a year -- among the lowest of the service industries. The industry is also one of the fastest growing. Approximately 1.8 million strong now, it is expected to grow 70 percent by 2020, according to the Bureau of Labor Statistics. The official number of home workers does not reflect the gray market, such as the neighbors employed by Charlene Hess, who make informal arrangements and who don’t go through an agency at all. The reason for the fast level of growth: A baby boomer turns 65 every eight seconds, leading to a surge in demand for the profession that won't be going away. The “companionship exemption” was thought to make sense in 1974, when it was put in place. An exclusion for these workers put them in the same category as casual babysitters, so they did not qualify for the Fair Labor Standards Act minimum wage and overtime pay protections. But the growing number of workers coupled with the aging of the population -- and a need for professional care that lets the infirm and disabled stay in their homes -- has increased demand for better wages for the workers who care for them. In the last two years, the Obama administration has moved to revise the rule. Lobbying from the $55 billion home health care industry, which employs the low-paid workers, has delayed any change. When contacted by Yahoo News, a spokesperson for the Department of Labor declined to be interviewed. In a nod to these workers, on Dec. 15, 2011, President Barack Obama announced the proposal to close the companionship exemption, surrounded by home care workers and advocates. “We are going to make sure that over a million men and women in one of the fastest-growing professions in the country don’t slip through the cracks,” the president said. “We’re going to do what’s fair, and we’re going to do what’s right,” he added. A change.org petition that calls for the president to "keep his promise" on this issue has received over 3,600 signatures to date. Home care agencies are enjoying billions in profits while these workers struggle to make ends meet. ...Keep your promise to home care workers and carry these long-overdue minimum wage and overtime reforms across the finish line today. Having at-home workers get paid minimum wage and overtime pay is estimated to have a modest impact on employees -- about $166 per employee per year, according to Labor Department. Agencies on average get paid $22 an hour. The hourly wage for their employees is less than half that, about $9.70, according to the Bureau of Labor Statistics. That hasn’t stopped advocates of the elderly and disabled from worrying they will no longer be able to afford full-time or round-the-clock help if the change goes through. “We think it will do more harm than good, rather than these workers getting overtime, there will be fewer and fewer people who will use them,” Val J. Halamandaris, president of the National Association for Home Care and Hospice, which advocates for business that employ home health aides, told Yahoo News. Not all businesses agree, however. 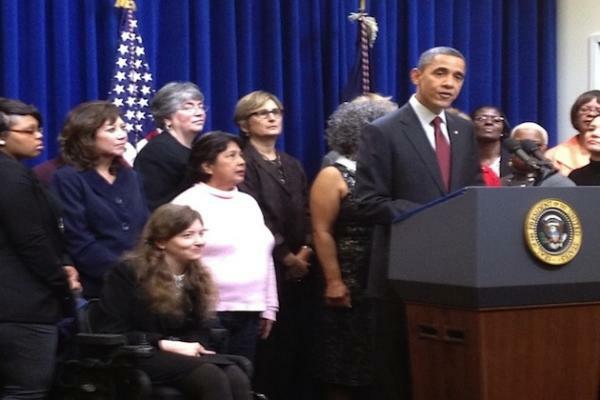 Karen Kulp, president and CEO of Home Care Associates, a worker-owned cooperative in Philadelphia, was at Obama’s side when he announced the proposal in 2011. In Pennsylvania, as in 21 other states, minimum wage and overtime protections are already in place for these workers, without hurting the bottom line. 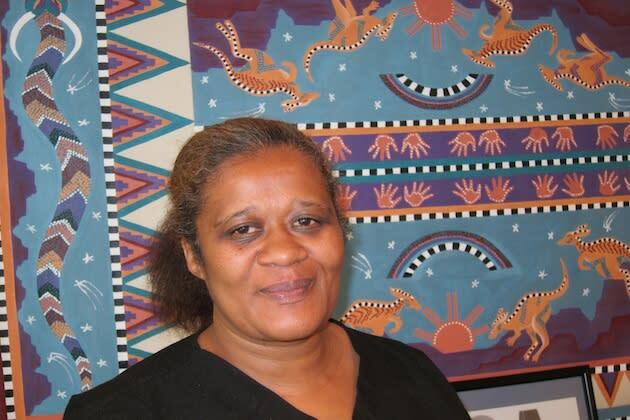 One worker who benefits from the Pennsylvania law is Yvette Bryant, a worker-owner at Home Care Associates. The 47-year-old was born and raised in West Philadelphia and worked at a gas station and the local high school before landing in her current position as a home care aide. “I love my job, I love it,” she said over the phone. Her client, a 52-year-old stroke victim, can’t get out of bed without her help. Six days a week, Bryant is there to wash her, move her from the bed to a chair in the living room, take her on a walk and go to the library, until the evening when her client’s daughter arrives to take over. With minimum wage and increases for extra training over the years, Bryant makes $11 an hour. She also gets health care and a public transit pass. Bryant has been with her client for three years. She cared for her last client for six. Kulp states that 95 percent of the workers at the cooperative receive health benefits, but 40 percent of the industry does not, since many work part-time and end up relying on programs like Medicaid and food stamps. This is not surprising, given the profession’s female and black roots, says Eileen Boris, feminist studies professor at University of California, Santa Barbara, who spoke with Yahoo News. Back in Sacramento, Charlene Hess called repeatedly on the two neighbors, one a retired RN, who assisted her for the five different times she came back from the hospital weak, in pain and in need of extra help. 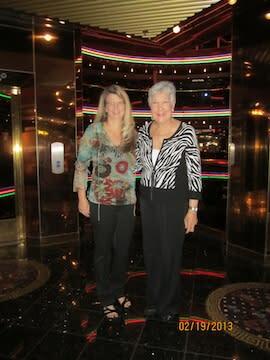 Better now, Hess and her daughter recently went on a cruise to celebrate her recovery. Gunn appreciates that the aides gave her mom the help that got her back in her home. "We wanted to get her home so she would have to do more stuff herself and push herself a little bit," she said. Hess appreciates the care she got when she needed it most.